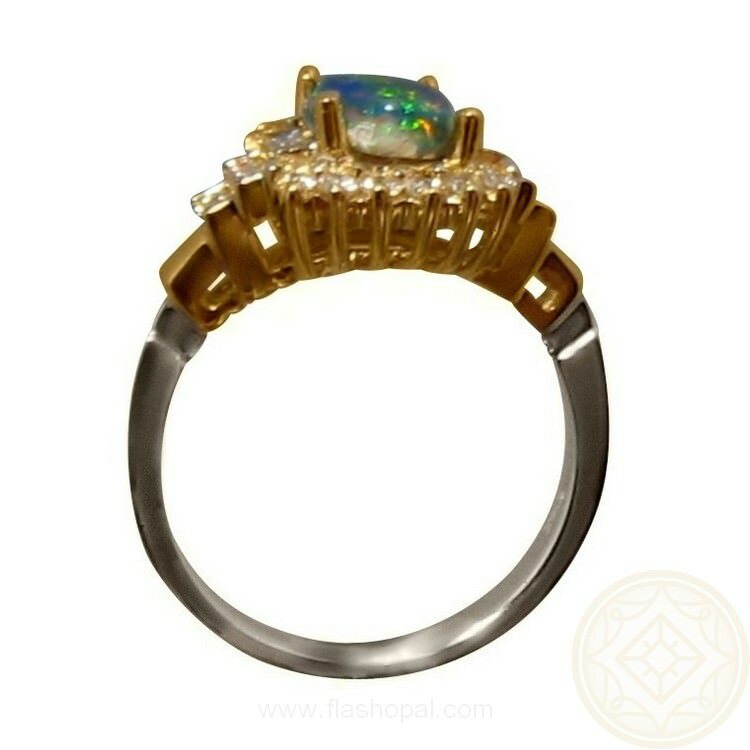 Intriguing Black Opal and Diamond Ring in 14k Gold. 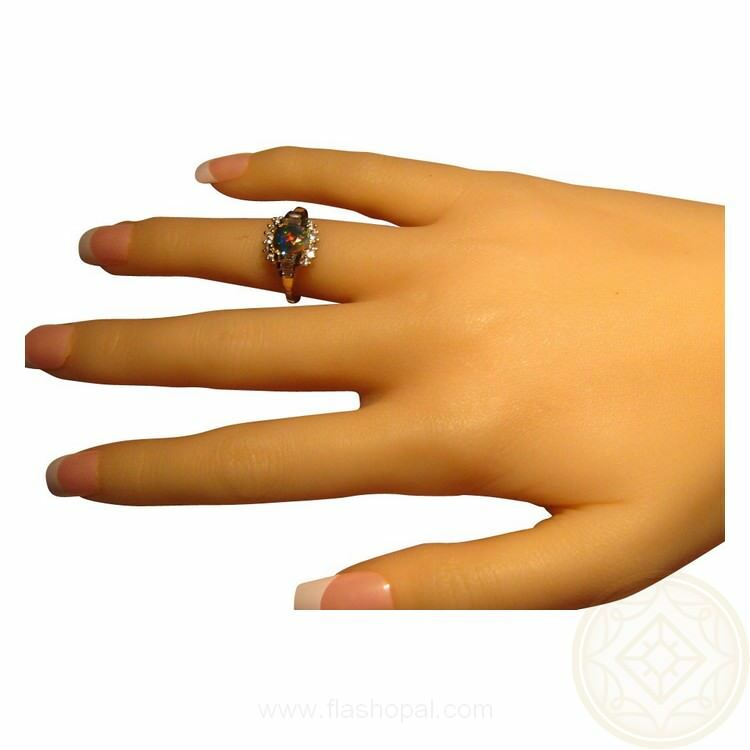 A Black Opal ring for women with a striking oval Black Opal which is surrounded by round and baguette Diamonds. 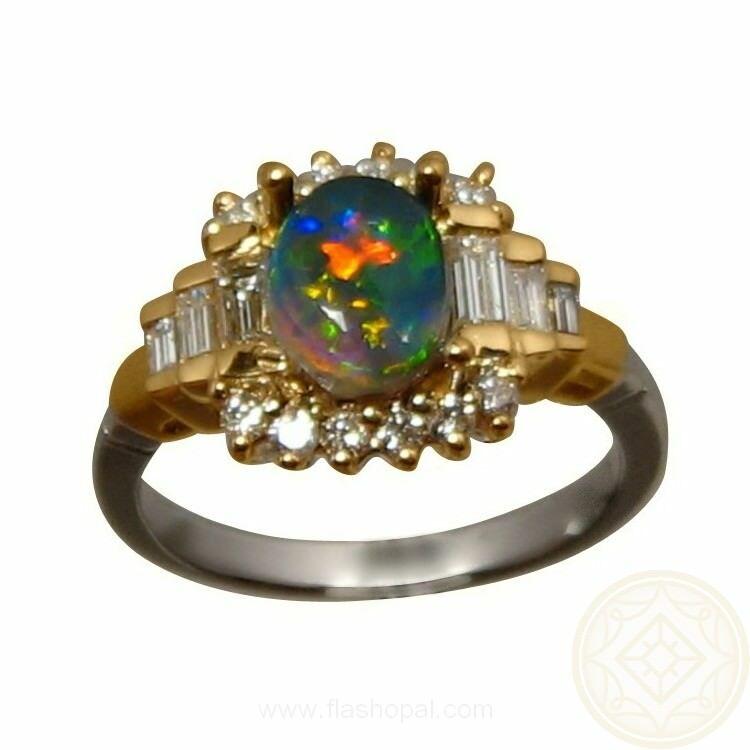 The ring is shown in two tone metal of 14k Yellow and White Gold but as the Opal is not yet set, it can be made in a mix of Rose Gold. 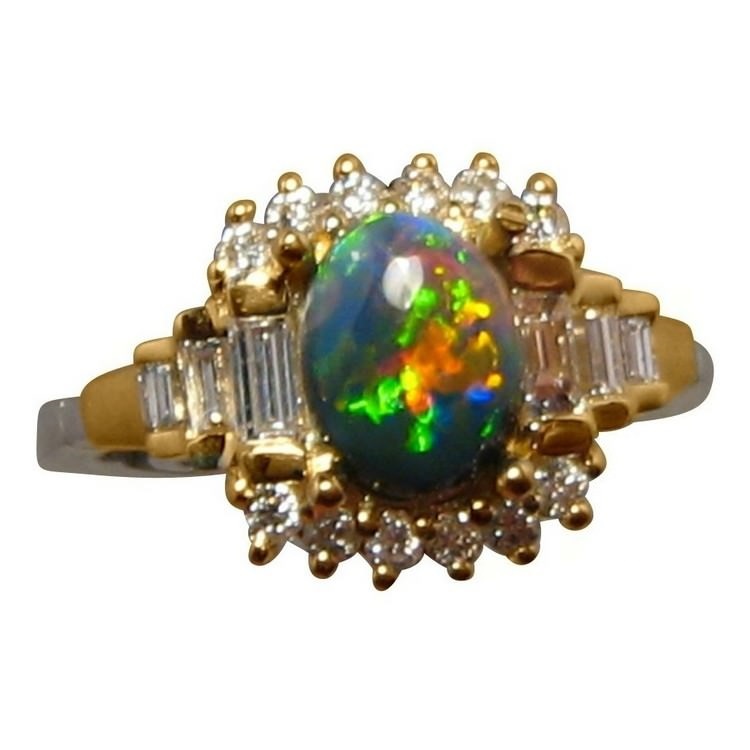 The Black Opal weighs one carat and shows very bright Red and Green colors. There are six round cut Diamonds on the north and south of the Opal with three baguette Diamonds stepping down each side the band. The back and side of the Opal shows a little natural sand which only confirms its natural form and does not detract from the beautiful display on top. A beautiful Black Opal ring that is ready to ship as advertised or will take about 21 days for any other ring size or change of Gold color. The Opal can also be mounted into a different ring or pendant setting and you can inquire through this product for a no obligation quote..